And so we were, on into the night, two boys sharing a light and building a way, one leaf at a time. It's 1984 and a heatwave like no other has hit Breathed, Oh. Arriving with the heat is a 13-year-old boy with dark skin and green eyes, answering an invitation meant for the devil. Fielding Bliss' family is happy to open their doors to Sal, but as accidents occur, and Fielding's family begins to suffer, the community is quick to believe that maybe the boy really is the devil. Fielding's small, conservative town soon turns into a hotbed of religious hysteria and panicked emotion, causing the two boys to experience life lessons meant for an age much older than thirteen. A foolish mistake, it is, to expect the beast, because sometimes, sometimes, it is the flower's turn to own the name. The Summer that Melted Everything took me out of my comfort zone and made me look at myself, my small world, and what's taking place around me. Though set in the past, it has relevance to the current politics taking place in the US today. It's an incredibly unique novel with beautiful prose that brings the heightened emotions of 1984 Breathed, OH to life. The blurb, intentionally left vague, only touches the surface of what young Fielding goes through in the year of intense heat and the devil's visit. It's emotional and heavy and holds your attention from start to finish. You're either gonna be the leader of their belief of the victim of it. Both are dangerous things. I am usually a very fast reader, a novel of this length should take me a day or two, but I found myself having to take lengthy breaks from the story. 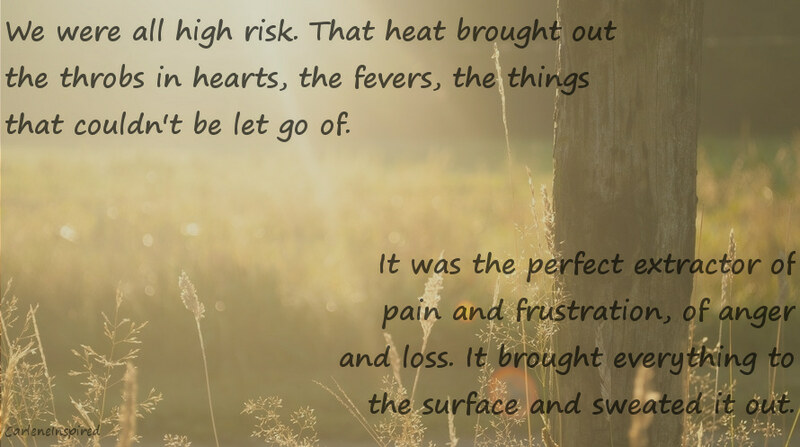 The literary writing, though beautiful and descriptive, also brought the hard moments to life. The heavy subject matters of racism, homophobia, suicide, and religion, weighed on me and brought about a lot of thinking. The community in The Summer that Melted Everything was easily influenced, quick to pick up their torches and pitchforks, and allowed religion and mass hysteria to manipulate their actions. Caring and acceptance soon becomes gossip, anger, and abuse. As young boys of just 13, Fielding and Sal have experiences that age them, their wisdom well beyond their years. I hurt for them, for the rage that Fielding goes through as his world changes and the horrifying, sad acceptance that Sal had adopted in order to continue living normally. Ultimately, the strength of family and friendship outweighs the bad, but not without being affected heavily by the actions of others. 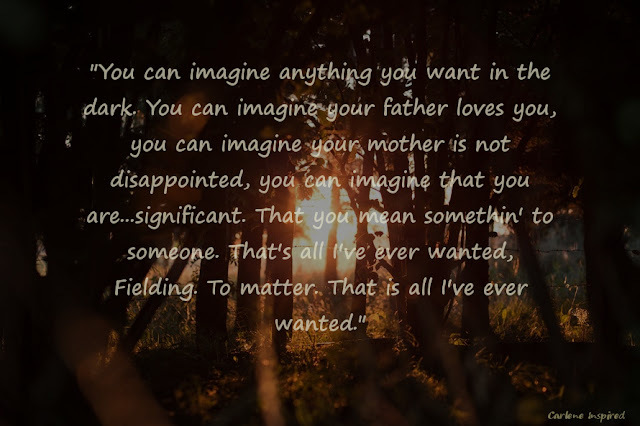 Fielding's adult life continues to reflect the events of his thirteenth year, his sense of life and purpose warped by the damage inflicted and his regrets. Sometimes this world is like red fences in the snow. There ain't no hiding who we really are. Tiffany McDaniel did an incredible job with this novel, she truly brought to life the religious extremism and the cult-like following one person can gather when people need something to turn to in the midst of change. The characters were so unique and the general plot, in all its creepiness, was very well fleshed out. The relationships in this novel reflect what you see in day to day life, maybe even in your own family, and I loved that it was relatable in that way. It was unlike anything I have ever read and I highlighted so many of the complex passages. I could have easily continued to read about Fielding's life and while 1984 broke my heart for him, it was an incredible story to experience. What was it Sal said about hope? It's just a beautiful instance in the myth of another chance. Yes, a myth it is. An Ohio native, Tiffany McDaniel's writing is inspired by the rolling hills and buckeye woods of the land she knows. She is also a poet, playwright, screenwriter, and artist. 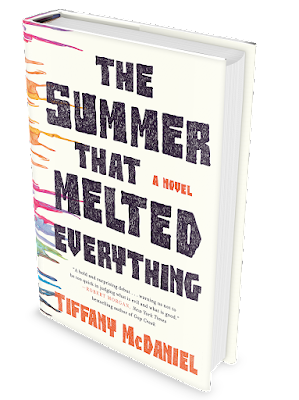 The Summer that Melted Everything is her debut novel.